"New York, NY - WildEye Releasing is shoring up the release of cult director Donald Farmer's latest, Shark Exorcist, with a brand new trailer and key art. Farmer (Demon Queen, Cannibal Hookers, Dorm of the Dead) turns his camera to the creature feature genre with a twist. A deadly great white shark terrorizes the small village of Paris Landing. The beast is driven not by rage or revenge, but by the Devil himself. Instead of a hardened shark hunter, the fishermen and swimmers must look to a Catholic priest to save their souls and his own. 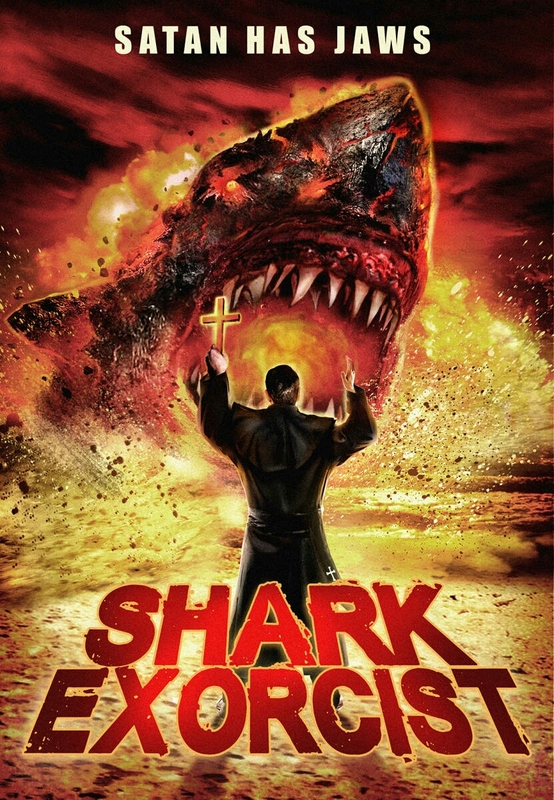 A demonic nun summons Satan to a small fishing village, where he takes over the bodies of a great white shark and a young woman. A chain reaction of evil grips the tiny community as shredded bodies wash ashore. A Catholic priest arrives, and he must fight both teeth and temptation on land and sea in order to send these man-killers back to Hell before the tide comes in for good!"